Vasco StreetMaps is a powerful tool for creating world, country, or city maps in a variety of ways. With this course, you will learn how Vasco StreetMaps works and how to interact with Vasco da Gama. The course teaches you all the tools and functions, right up to the integration of maps in Vasco da Gama. 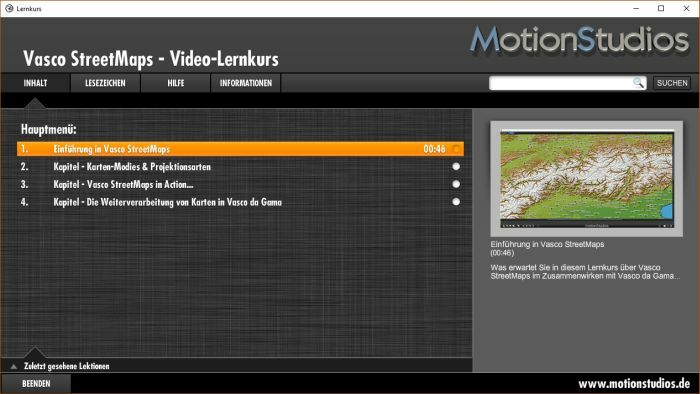 With this DVD, you get a 90 minute multimedia learning course, which gives you a straightforward introduction to Vasco StreetMaps. 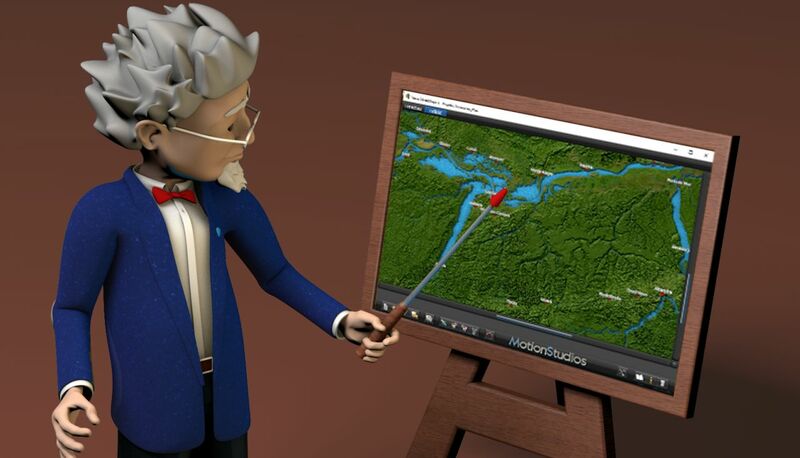 The many video examples explain both the new features in Vasco StreetMaps, as well as the fundamental operation of the program. The learning course is a must for users who want to get the latest from Vasco StreetMaps to produce spectacular world, country, city, or road maps. The following lessons provide an overview of the 3 available map modes and map projection modes in Vasco Street Maps. 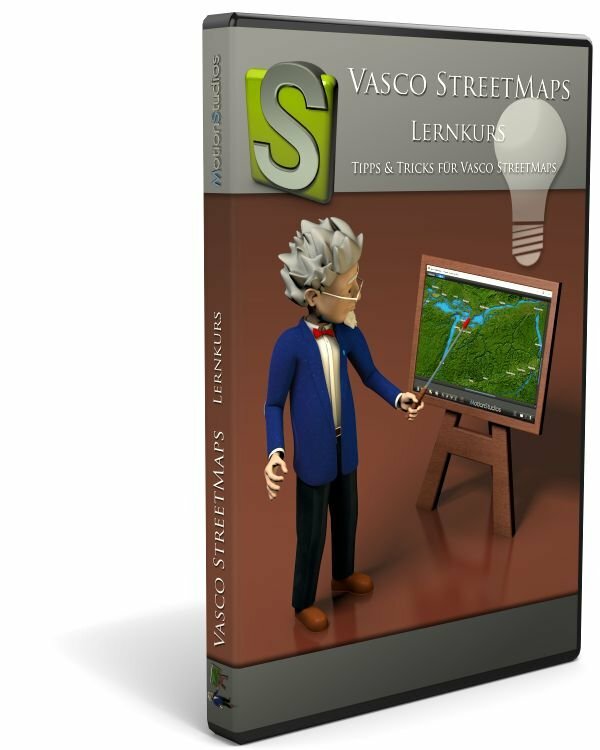 Detailed information, differences and overview of the 3 map making modes in Vasco Street Maps 6. Further details on the map modes and which files are created for further processing. Also, the transfer of maps from map mode 3 into Vasco da Gama 10 is shown. Information and basics about map projection modes WGS84 and Mercator in Vasco Street Maps. The basics, user interface, settings, map size information and working possibilities in Vasco Street Maps are also available for output. The user interface of Vasco Street Maps in detail and general workflows. Map Mode 1: Create a new project, select a map section, and display and apply different tools/functions in Vasco Street Maps. Location searches via GPS are also shown. 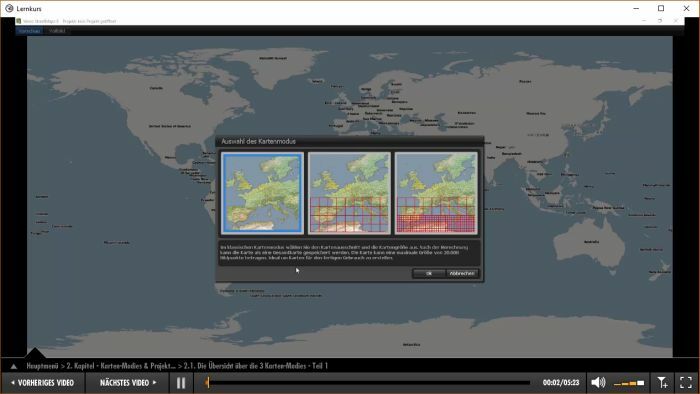 Map Mode 2 and 3: Create and save a new project, select a map section, and apply various parameters such as map size, degree of detail, map projection, and their differences. The calculation of the full image of the selected map is also shown. The basic settings of the map in detail, the choice of the map background including color scheme, the differences between preview and full screen mode as well as details on altitude relief including intensity adjustment. 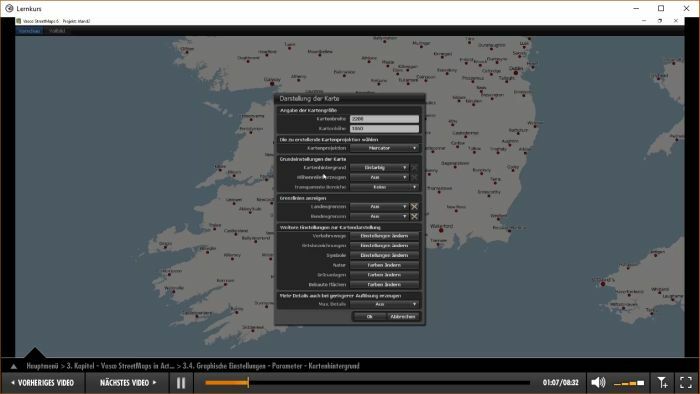 You will also receive tips on the option of transparent areas in maps as well as border lines. Other settings for the map in detail. You will receive, among other things, extensive information on traffic routes within the selected map and their setting options (color, line type, etc.). In addition, place names, symbols, nature (including color and structure adjustments), green areas and built-up areas are focused on. In this lesson, you will get extensive information about loading pre-installed color schemes and saving specially edited color schemes. 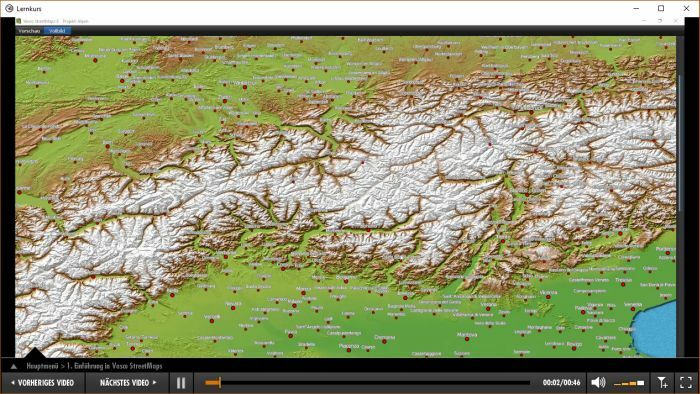 In this lesson, you will get important information about map size and printing or use in a video project. The creation of a high-resolution map (city map) in Vasco Street Maps and further processing in Vasco da Gama with the creation of a route and additional objects. Create a city map of Munich in Vasco Street Maps in map mode 3, save the new map and take it into Vasco da Gama as the basis for a route. Use of a city map in connection with 3D objects (points of interest) in Vasco the Gama. The insertion of points of interest in Munich in original size and at their exact GPS positions. 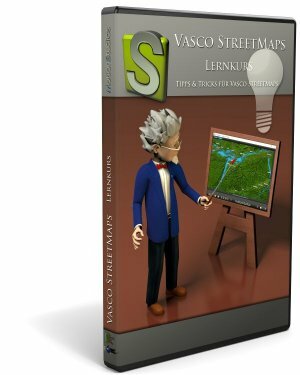 In this lesson, you will learn how to create and store (map mode 1) a map in Vasco Street Maps. Further adjustment in an image processing program (e.g., for graphic effects) and re-use in Vasco da Gama.